Hablando en la ‘Primera Conferencia Internacional FAO/OMS/UA sobre Inocuidad Alimentaria’, celebrada el 12 de febrero en Addis Abeba (Etiopía), el Director General Roberto Azevêdo insistió en que la inocuidad de los productos alimenticios es “un elemento central de la salud pública”. Puso de relieve que las normas de la OMC, tales como el Acuerdo sobre la Aplicación de Medidas Sanitarias y Fitosanitarias y el Acuerdo de Facilitación del Comercio, desempeñan un papel fundamental para garantizar que los alimentos se comercialicen de forma segura y exhortó a la comunidad internacional a hacer uso de las nuevas tecnologías y herramientas de información para contribuir a garantizar la inocuidad de los alimentos y el logro de los ODS. (Noticia disponible sólo en inglés). DG Azevêdo ended by inviting participants to a follow-up event, the FAO/WHO/WTO International Forum on Food Safety and Trade, to be held at the WTO on 23-24 April, to further explore the topic in more depth. DG Azevêdo’s full speech is available below. Good morning. It is a pleasure to join you today. Food safety is a central element of public health and will be crucial in achieving the 2030 Sustainable Development Goals. So this Conference is a welcome way of highlighting this vital topic. 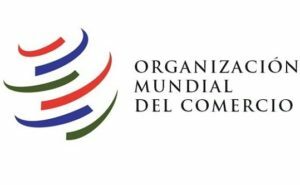 The WTO is happy to be a part of it. In fact, we will be hosting the second part of this event at our headquarters in Geneva on 23-24 April: the FAO-WHO-WTO Forum on Food Safety and Trade. It will be an opportunity to explore the deeper interlinkages with trade issues. Trade matters because it helps lift people out of poverty. It helps economies to grow. It helps workers to find better jobs, businesses to find new markets, and consumers to access a wider range of products, with lower prices. The World Trade Organization underpins global trade – complemented by important regional initiatives like the African Continental Free Trade Area. But our job isn’t just to boost trade. We must also ensure that trade works together with vital public policy and health imperatives such as food safety. We need to maintain effective food control systems to ensure that imported food is safe. Consumers need to be able to trust the food that they import just as they would trust the food that is supplied domestically. Importing food helps to lower prices, particularly for goods that are consumed by the poorest in society – and they need to be confident that their food is safe. Equally, exporters must know what the food safety standards are and be able to comply with them. The WTO, and its range of rules and disciplines, helps us to achieve all this. The WTO’s sanitary and phytosanitary agreement is a prime example. Since it entered into force 24 years ago, this Agreement has made a very important contribution. It ensures that food safety requirements are based on science and that they are fit for purpose, thereby protecting public health and at the same time minimizing unnecessary trade costs and barriers. This is in everyone’s interests. Taking full advantage of the trading system to achieve these ends requires capacity. This was recognized by the FAO, WHO and WTO, together with the OIE and the World Bank, when we came together to establish the Standards and Trade Development Facility (the STDF). and work on coordinated and coherent solutions. The STDF also provides funding for the development and implementation of innovative projects, benefiting both the public and private sector. The goal is to build capacity in developing countries to implement international sanitary and phytosanitary standards, and to help them gain and maintain market access. This is important work. And it is particularly important in the context of the new opportunities and challenges that are facing food safety and trade. When we reconvene in Geneva in April, we will consider some of these issues in more depth, so I’ll be very brief today. And let me start with digitalization and use of new technologies. They are already having an impact on both food safety and trade. These technologies make it easier to trace products throughout a supply chain, and traceability is key to ensuring food safety and addressing risks when they arise. Electronic certification can be more reliable and efficient than paper-based systems, therefore reducing costs and facilitating trade. But the use of such technologies requires investment. So a key focus of the discussion must be on how to bridge the digital divide between countries at different levels of development. In this context, the WTO’s Trade Facilitation Agreement can play a positive role. It aims at streamlining border processes to help goods move more smoothly and more quickly. Reducing the time needed for goods to cross borders can make all the difference when your exports are perishable products, such as cut flowers or green beans from Kenya and animal products from Ethiopia. And reducing trade costs is important for everyone. Of course, the safety of imported products also needs to be ensured, and the Agreement recognizes that cooperation among different border agencies plays a fundamental role. Another key issue is access to information. Surveys among traders show that information costs are very high. It can take a lot of time and resources to find out exactly what food safety and other requirements their products need to comply with, and what procedures and documentation requirements apply at the border. Therefore, improving transparency is vital. This is a key part of our work at the WTO. We are working to make it easier for traders and for producers along the value chain to find this essential information. In this vein, together with ITC and the United Nations Department of Economic and Social Affairs, the WTO has developed a tool, called ePing. It is designed to help small businesses, traders and other stakeholders stay informed about food safety and other requirements. They receive email updates whenever there is a new regulation in a market or on a product that they are interested in. This innovation has already proved very successful – and so I think this is something that we should seek to build on in future. Taking a broader perspective, we need to ensure that we use the latest technologies and innovations to support food safety and agriculture in general. Farmers need to have access to the best available information and technology, and consumers increasingly expect to have access to information about their food. Regulatory frameworks should support this. So we should look at how farmers, consumers and those engaged in food value chains can benefit from the digital revolution – in the interests of us all. I detect a real desire to deepen the debate on these issues. We must ensure that we are fully ready to meet the challenges and seize the opportunities that we see on the horizon. So I wish you all a successful meeting and fruitful exchanges over the coming days. And I look forward to welcoming all of you to the WTO in April to continue the conversation.